I know, I know.. how could I not have tried this brush sooner? It was a smashing success with beauty editors even before its public launch and I see can why! It's definitely among my top 5 favorite foundation brushes and yields very similar results to Sigma's famous F80. 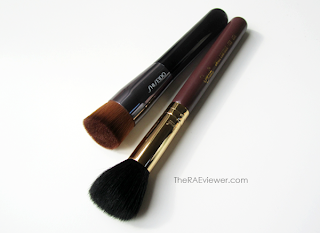 Both boast densely-packed brush heads with carefully placed, soft synthetic bristles. 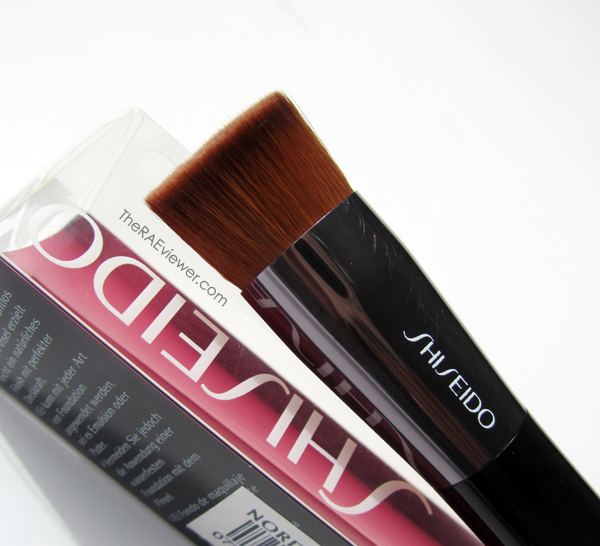 The F80 gives me more of an airbrushed finish with rarely any streaking so I do prefer it, but the Shiseido Perfection Foundation brush comes pretty darn close. I dab a pea-sized amount of the liquid foundation over the center of my face, most carefully around the orbital bone and around my nose, and then smooth the foundation outward to my forehead and sides of the face. I also go back and dab a smidge extra on the tops of my cheeks to cover my redness since I don't use concealer regularly. You really can use this brush with all foundation formulas - just make sure you wash and dry between powder, liquid, or cream foundations. I personally prefer using this brush with liquid foundations because I use a MAC 187 for powders and the CoverFX 160 for creams. The angled slant of the bristles makes it easy to maneuver through the contours of the nose, eyes, and mouth and I actually prefer the shorter handle! Some have complained at how small the brush is but I find that it offers more control and it's much easier to store in my travel bag. I wish I had taken more photos for size comparison but this Sigma travel/short-handled brush from the London kit was the only one I had on hand. 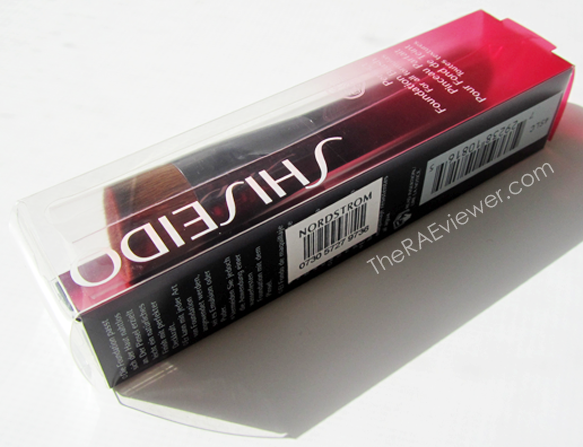 Still, the Shiseido brush is much smaller! Bottom Line: This may be the best affordable, most versatile foundation brush on the market right now and it's a must-have in my book! 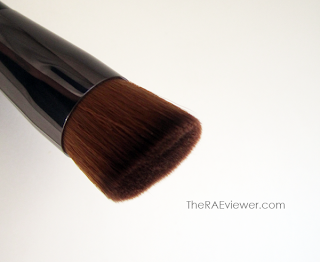 You should try this brush with the D&G powder foundation, it works so much better on powders than liquid. CC - I'll definitely give it a try!